Fire Station Park Expansion - Near Southside, Inc. In December 2017, approximately 150 community members attended a meeting at the Fire Station Community Center to share their thoughts and feedback on the first-draft concept design for the park expansion and community center master plan. This important meeting came a year after the initial Envision Hemphill workshops in December 2016. NSI along with the Hemphill Corridor Task Force, Fairmount Neighborhood Association, City of Fort Worth, Project for Public Spaces, and many other partners gathered input on what community members wanted to see in the expanded park. Project for Public Spaces prepared a master plan for the park as a result of that feedback, and once again, community members provided their input on things such as design aesthetic, materials, and programming features of the park. An implementation report for the expansion of Fire Station Park will be delivered in 2018. 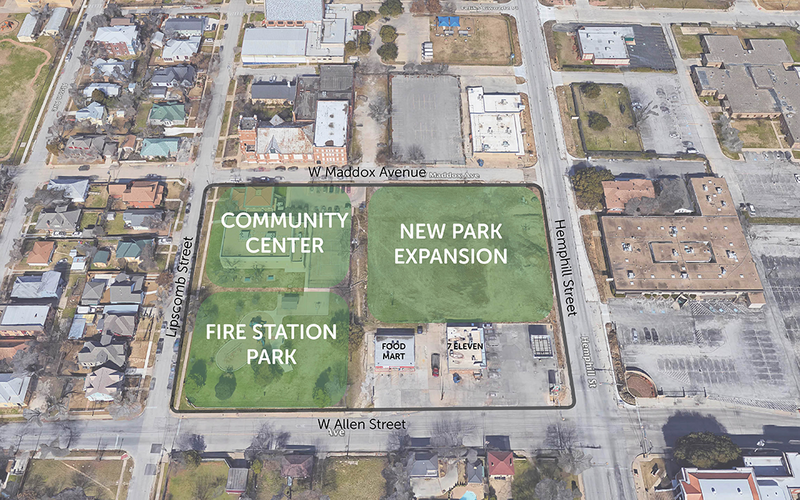 In 2016, the City acquired vacant property at the southwest corner of Hemphill and Maddox as an addition to the immediately adjacent Fire Station Park and Community Center to the west. The December 2016 Envision Hemphill workshop focused primarily on gathering ideas for that newly acquired parcel and the entire Fire Station complex. With hundreds participating, the workshop was a tremendous success and set the stage for a continuing community-focused process. The update below outlines this summer's master plan phase and answers other common questions about next steps. 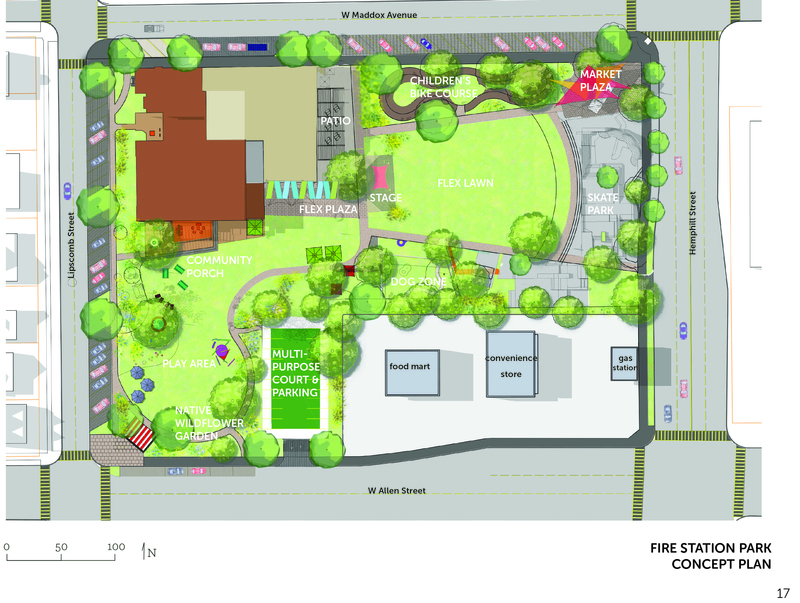 What is the next phase in planning for the expanded Fire Station Park, and what is the schedule? 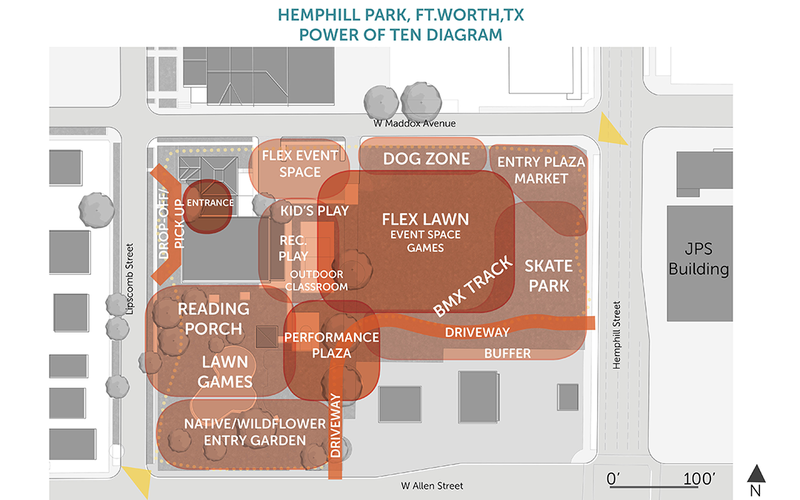 How was public input from December’s Envision Hemphill documented, and how will those ideas influence the upcoming master plan? PPS thoroughly documented all of the input from individual interviews and community work sessions within a report available for download. You’ll find a detailed summary of all ideas, issues, and concerns related to the park’s design and ongoing management. Will there be additional opportunities for input? - Take our online survey and share your ideas about elements to include in the park, and thoughts on how you’re likely to experience the space. Tell your friends to take the survey too! - Plan to stay involved and attend upcoming community forums to review and discuss conceptual plans this summer. Stay tuned to email and Facebook updates from NSI with detailed information on those forums as they’re scheduled. Most importantly, help us spread the word to your friends and neighbors so that they will also stay involved! Questions? Please contact Near Southside, Inc.’s Planning Director Mike Brennan at mike@nearsouthsidefw.org.